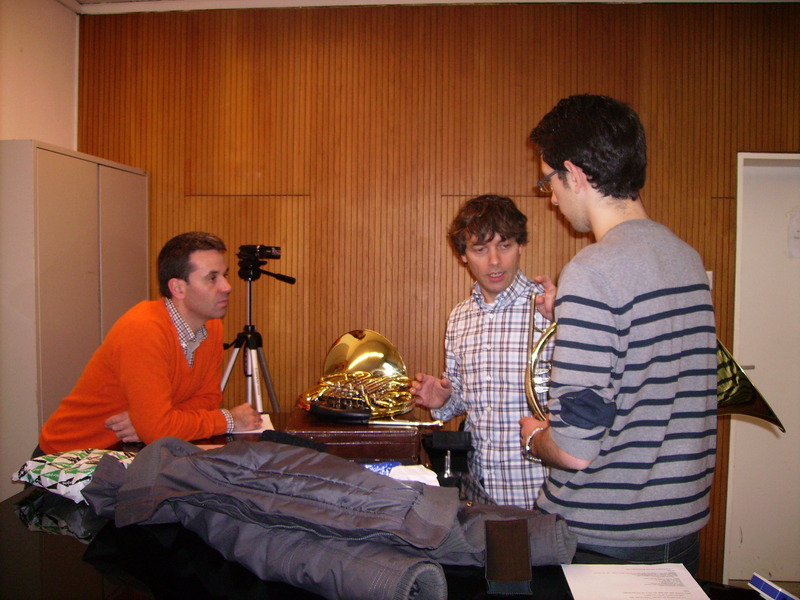 Spanish horn students from Alcañiz, Huesca and Zaragoza conservatoires and Pablo Castañe travel to Maastricht Conservatory. The Spanish students will be guest of Maastricht conservatory students. Coordination: Pablo Castañé, Nuria Gañet, Miguel A. Gracia, Amadeo Catalá, Alejandro Serena, Leentje Clijsters. – Lessons by W. Bessems. – Attendance to classes of W. Bessems. – Selection of Bessems´s students and choice of repertoire to play in the performances of the Spanish visit. – Performances of W. Bessems´s class&Spanish students.